I want to create a resusable web resource that I can use to validate and format the phone numbers for accuracy on any entity that contains a phone number field. 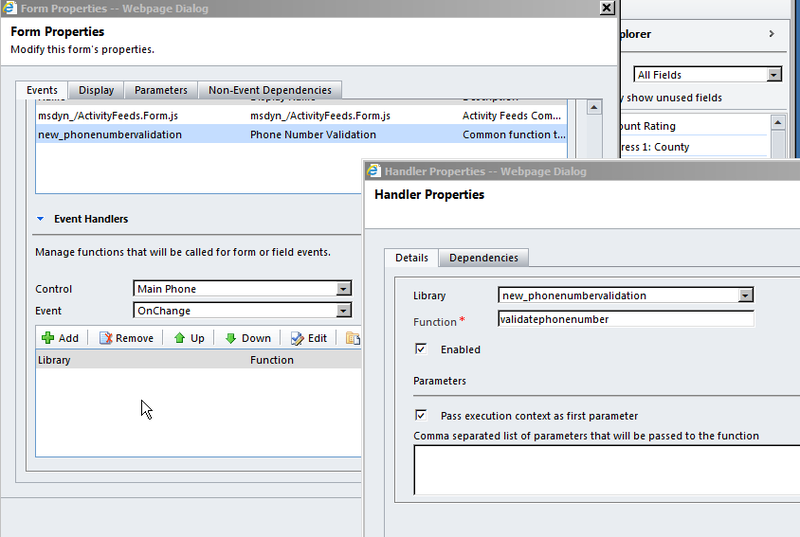 To create a web resource that references each phone number field on each entity that includes a phone number i.e. Contact, Account, lead and call this web resource on the onchange event of each field. So with option one I could improve the code by using a function and calling the function based on the field that has changed passing in the phone number and validating it, but I have to create multiple web resources for each entity and thus maintain the same code in multiple places. With option two, on the other hand my code is in one place and is ressuable. So how do I do option two? We now need to write our simple phone number validation and format script as below. Open the first form to add the phone number validation and format script. Select the field to add the control to using the drop down and the event will default to On Change. Click on Add and select the new library and enter the function name of the script in my case “validatephonenumber”. Now when you open the entity and update the phone number the script is run and the number is validated, without hardcoding any field value. You can now use this same concept to script other resusable functions using the context of the call, great for any on change common validation of formatting function. I hope this helps to simplify your development and time to deliver critical common functions. The 2 refers to contact, just change to reflect the object you wish to set as the default. Note the values that you want to pull through need to be on the lookup view of that entity. Item in bold is the key part. //Using key values to retrieve the value of the item from the lookup entity. Items refers to the selected instance of the entity of the form. Place the code in the on load event, change the address fields to your applicable fields, populate the country field if not defaulted with teh right country and then update the iframe source details. You make want to add a checkbox on the map tab to control when the below code is applied to the iframe as you do not want the map loading everytime you open up your record (slows down the loading of the record). Happy Mapping!! For example when you want to filter the primary contacts lookup on an Account with only the contacts associated to that account by default. 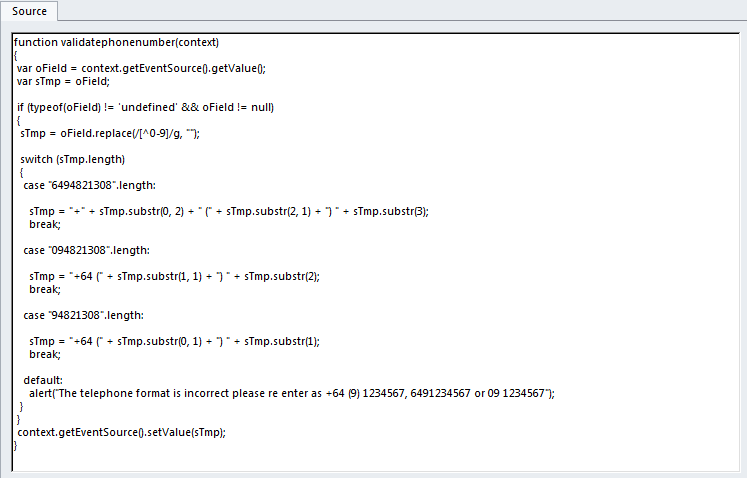 The code is split into a function and then the code to call the function.